After making corrections Steve continues to refine the oil painting. As more detail is added decisions must be made regarding value range, color composition, and general feel of the painting. 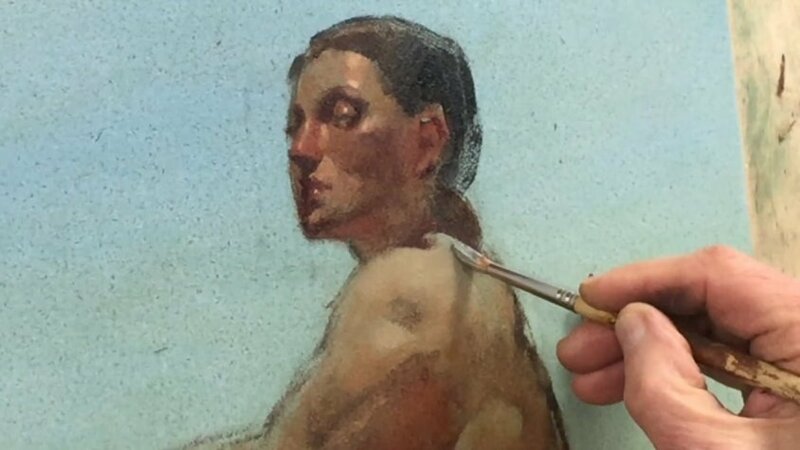 Concepts and methods used in this oil painting video lesson include: value choices; use of complementary color to create vibrational quality; simplification of form; intensifying color with thicker paint; painting from dark to light; refining portrait detail; breathing line. 00:03:26 - Just do it!